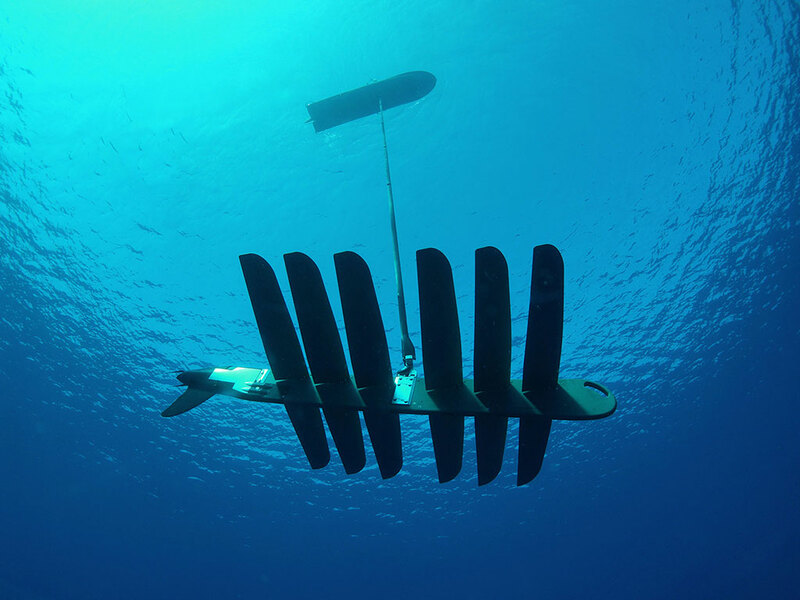 The Wave Glider is an autonomous marine robot designed to gather ocean data. 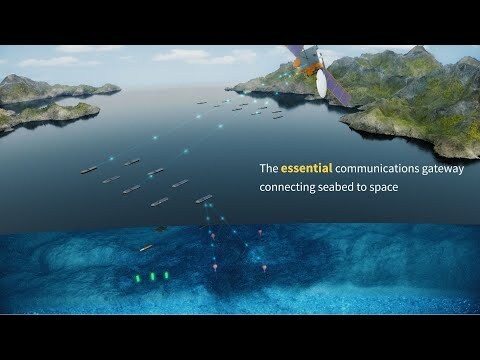 It uses the energy of the waves for propulsion and solar panels to generate power for on-board computing and sensors. 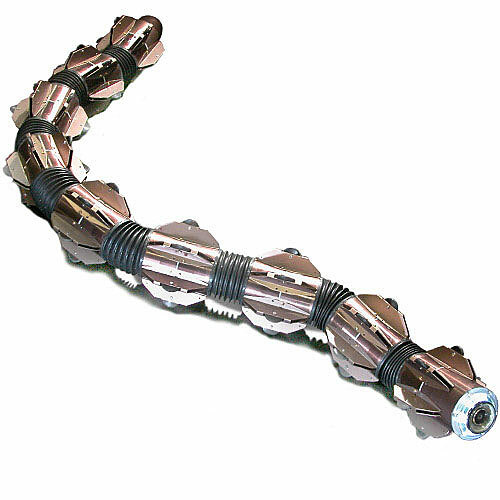 The robot's three parts: surface float, tether, and sub. 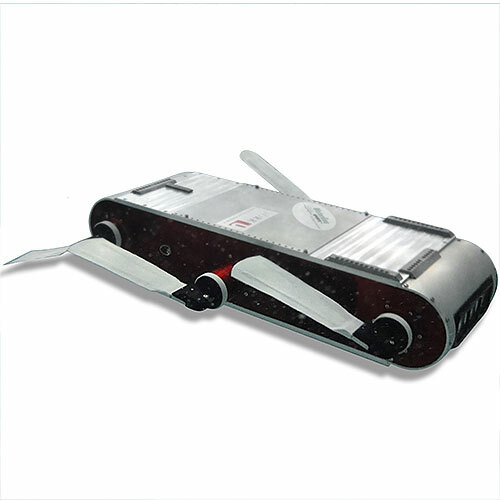 The Wave Glider is packed with environmental sensors. 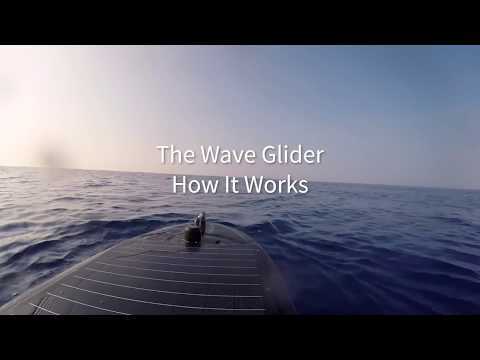 Overview of Wave Glider's features. 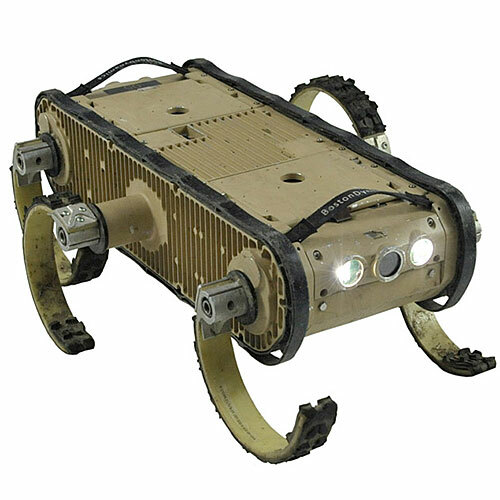 Building a robot for a harsh environment. 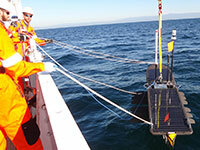 How Wave Glider relays data from underwater to shore. 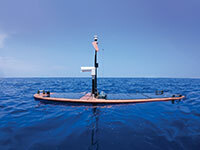 Wave Glider began as a project listening to humpback whales in real-time off the coast of Hawaii. 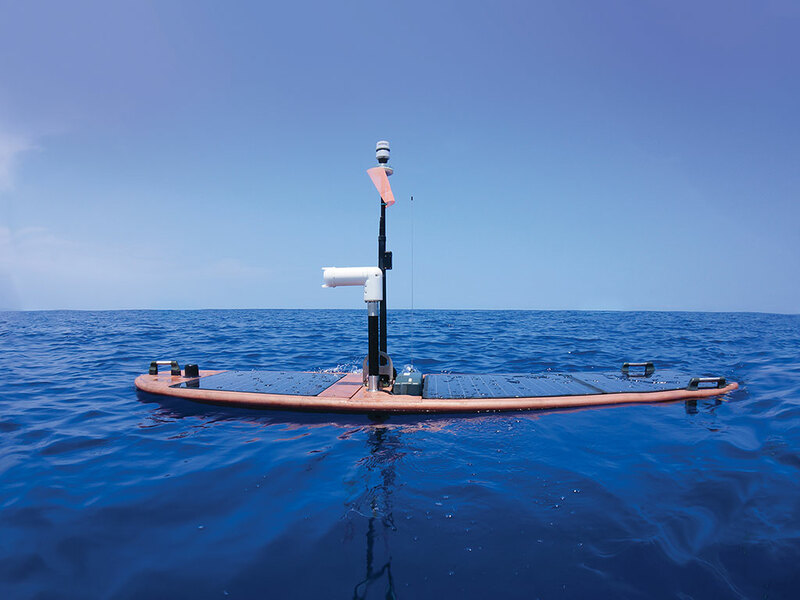 A Wave Glider set the Guinness Record for longest journey by an autonomous, unmanned surface vehicle in 2013 by traveling 9,380 nautical miles (17,372 km) on a pre-programmed path from San Francisco Bay to Lady Musgrave Island near Bundaberg, Australia. 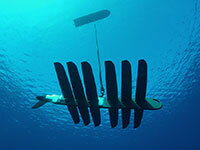 Wave Gliders can withstand high seas, and have even navigated through 17 hurricanes. 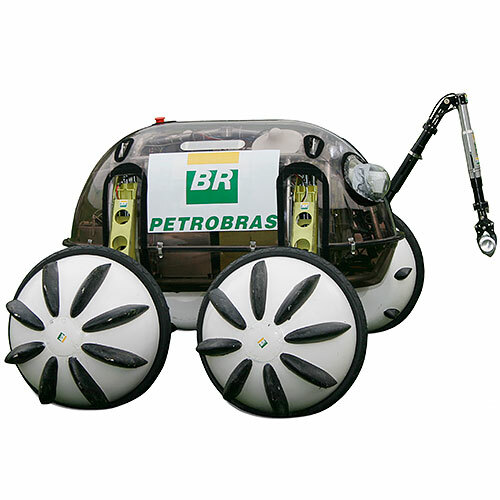 Capable of operating autonomously for months at a time without fuel. System composed of three parts: the float at the surface, 8-meter umbilical line, and a sub under water. 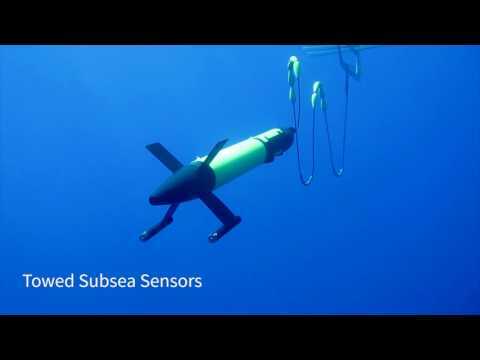 Can be equipped with a range of sensors to perform missions for marine science, commercial, and defense applications. 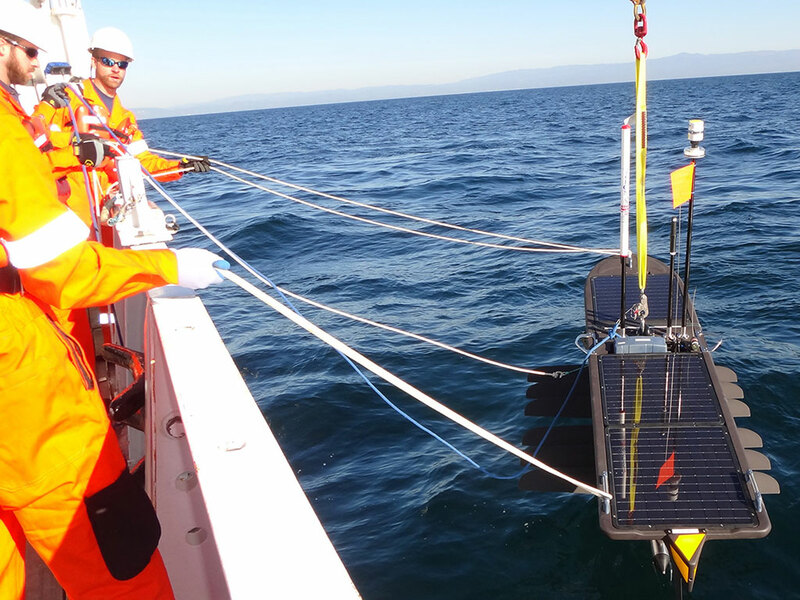 Camera, CTD (conductivity, temperature, and depth) sensor, wave sensor, weather station, fluorometer, hydrophone, acoustic Doppler current profiler sonar, marine acoustics sensors. One stepper motor (to control rudder position). 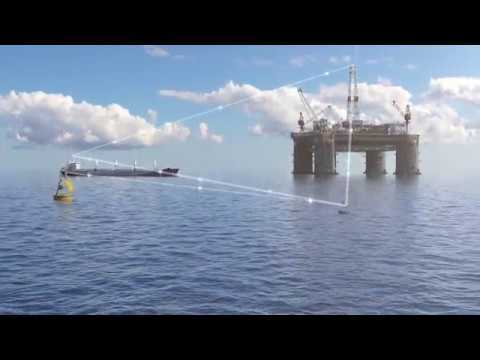 Mechanical conversion of wave energy into forward propulsion. 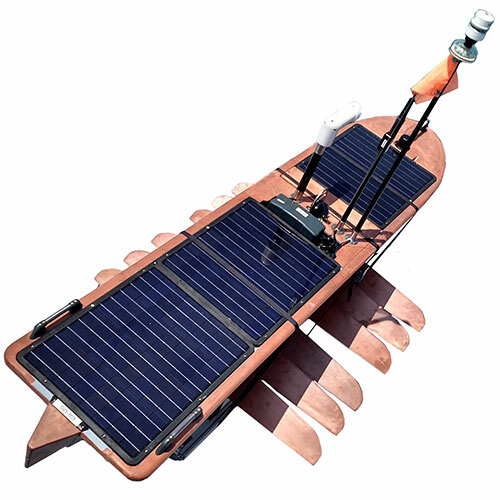 On-board electronics and sensors powered via solar panels and batteries. On-board: custom control software. Shore-side software: Web-based system. Float made of e-glass pre-preg composite with foam cores. 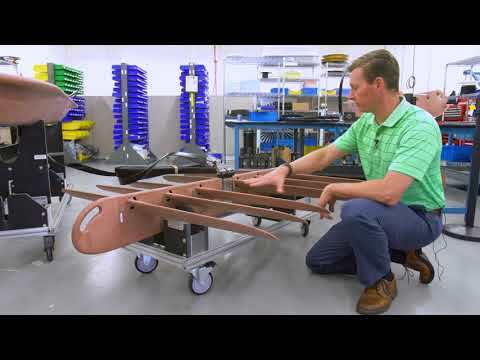 Glider consists of stainless steel frame and fiberglass wings, with a titanium "thrudder."